Gator has earned a great reputation for the quality, utility, and durability of their cases, bags, and other gear, and now they've turned their attention to stands. The all-aluminum SPK2000 speaker stand features a 38mm center pole with a 35mm section at the end, so it'll work with both popular sizes of speaker mounts. The stand adjusts from 48" to 81" high, and it'll hold a load of up to 125 pounds, enough to support most pole-mount speakers. The SPK2000 also features removable red trim above each foot for added safety. Gator also offers a package with two stands. 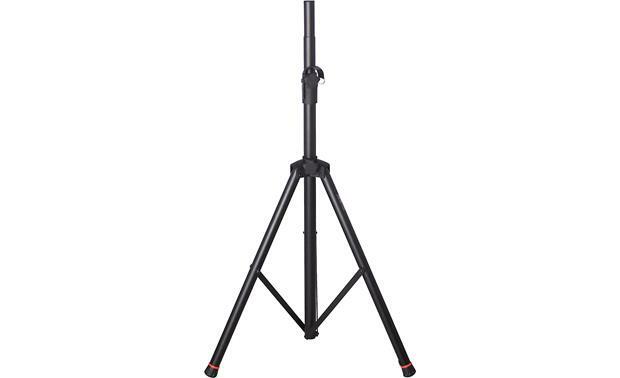 height adjusts from 48" to 81"
Searches related to the Gator Frameworks SPK2000 Adjustable tripod speaker stand.